In Western Australia’s remote East Kimberley, you’d expect nothing less than a holiday park set on 10 acres of Australian bushland. 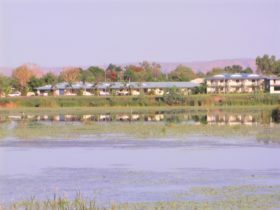 Discovery Parks – Lake Kununurra is the only park on the edge of the lake with diverse accommodation from luxury cabin to simple camping site. 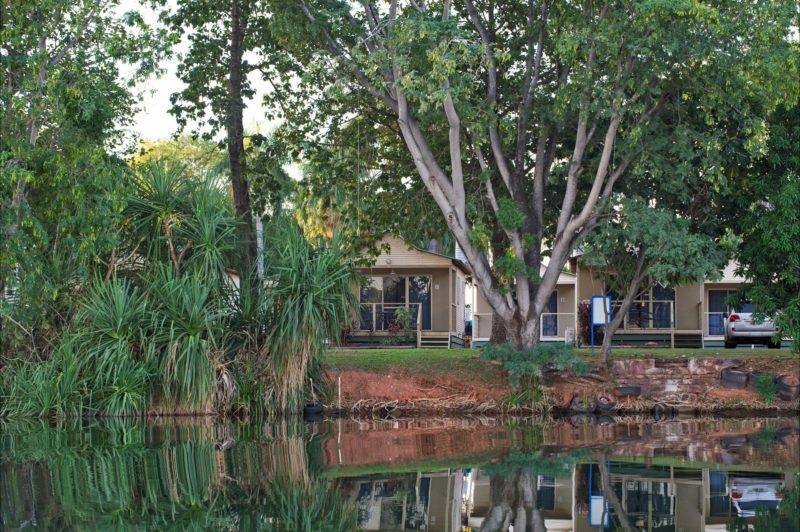 Lake Kununurra is shared by swimmers, anglers, bird watchers and water sports enthusiasts alike. 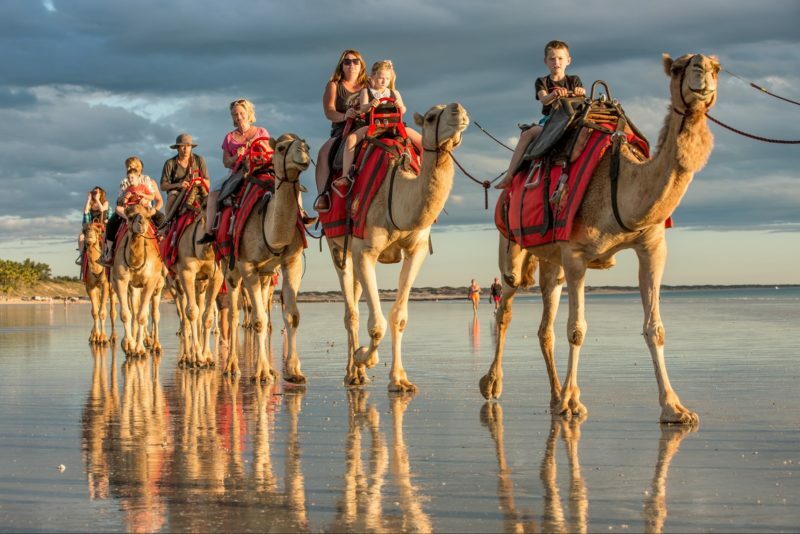 This is the gateway to some of Western Australia’s most remarkable natural attractions. Check out the unusual rock formations of Mirima National Park and the incredible Bungle Bungle Ranges in Purnululu National Park, or take a sunset cruise on Lake Argyle. Enjoy the wonderful water views from your own private decking. 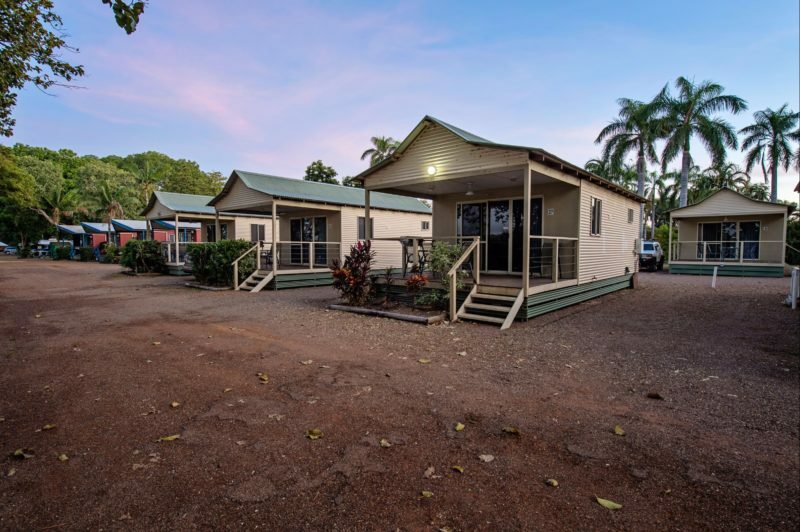 These spacious, modern cabins come complete with en suite, air-conditioning, full kitchen, lounge and dining area and Foxtel. Perfect for couples and families of four looking for accommodation with “the lot”. There is a queen bed in the main bedroom and two single beds in second bedroom; with linen fully provided. The kitchen features a gas stove, microwave, full size refrigerator, kettle and toaster, cookware, cooking utensils and cutlery. The dining and living area has a sofa, LCD television and Foxtel. The balcony has an outdoor setting (with a barbecue in two Sunrise Spa Villas). One villa has disabled access. Step out of your bungalow and you’re at the water’s edge. The Superior Bungalow is a unique mix of practicality and luxury that caters for your family’s every need with en suite, kitchen, air-conditioning, verandah and water views. The Superior Bungalow has an open plan area with a double bed and single bunks. There is a queen bed behind curtain partition. All linen is provided. The open space living area has a sofa and LCD television. The balcony has an outdoor setting. There is a queen bed in the main bedroom and two single beds in the second bedroom. Linen is fully provided. 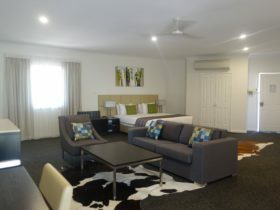 The dining and living area has a sofa, LCD television and Foxtel. The balcony has an outdoor setting. One villa has disabled access. With direct waterfront views and access, the Deluxe Waterfront Cabin is your home away from home. 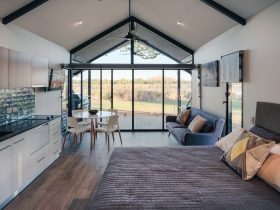 The one bedroom cabin sets the scene for a romantic break, with full kitchen facilities, air-conditioning, Foxtel, lounge and dining. Linen is supplied. There is a queen bed in the bedroom and linen is fully provided. The cabin has a dining area and separate living area with sofa, LCD television and Foxtel. The balcony has a barbecue and outdoor setting. The cabin is located on the waterfront and has a lake view. 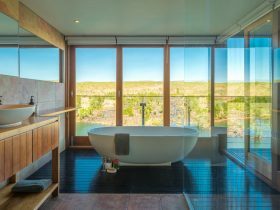 A superb retreat overlooking Lake Kununurra awaits you! 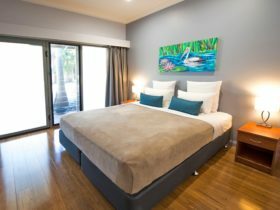 The Deluxe One Bedroom Cabins are cosy and comfortable with en suite, air-conditioning, Foxtel and all linen supplied. End the perfect day relaxing on your private verandah. The bedroom has a queen bed with linen fully provided. The dining and living area has a sofa, LCD television and Foxtel. The balcony has an outdoor setting. Luxury with waterfront views, this delightful home has everything a family of four needs, including kitchen, en suite, air-conditioning and a small verandah with outdoor setting for the ultimate lakeside relaxation. There is a queen bed in the bedroom and single bunks in the passageway to into bedroom. Linen is fully provided. The kitchen features a gas stove, microwave, bar size refrigerator, kettle and toaster, cookware, cooking utensils and cutlery. The dining and living area has an LCD television and there is a small balcony with an outdoor setting. An aquatic playground at your doorstep! These powered sites offer absolute waterfront views and access, and the best seat in the house to water sports on the lake. Suitable for caravans, motorhomes and fifth-wheelers. Aside from the view, advantages include water, sullage connection and a dump point. 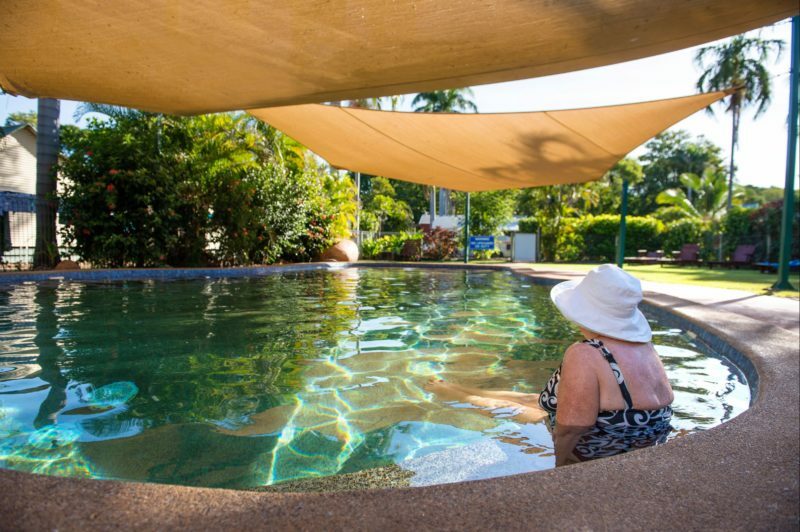 Spacious and sheltered, enjoy the idyllic surrounds of Kununurra from the comfort and luxury of your own caravan, campervan, tent or motorhome. The powered sites cater for all your needs, including water and sullage connections and a dump point. No power needed? No worries. They have the perfect spot for your tent, complete with water connection and dump point close by. Prices varies from Sites to Cabins. Price of AUD27 is for an un-powered site and Cabins are up to AUD194 a night.